John Haag performs Lear’s monologue “Ay, every inch a king!” from King Lear, a play by William Shakespeare. 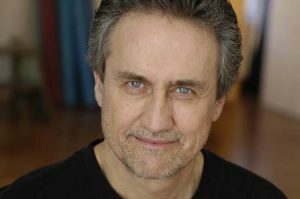 John Haag started acting in New York in off-off Broadway and regional theaters. Shakespeare roles include: Macduff (Macbeth, Long Island Arena Theater), Orlando (As You Like It, Center for the Performing Arts, Rhinebeck, NY), Demetrius (Midsummer Night’s Dream, Gallery Players, Brooklyn, NY), Macbeth (Macbeth, Queens Shakespeare, Flushing, NY). Since moving to Massachusetts, John has done theater, industrial films, and voiceovers, and audiobook narration. He has recorded 15 titles for commercial production and over 200 titles for the National Library Service’s Talking Books program. John started studying with Wren two years ago. You can find samples of his work on Audible.com, Audiofile Magazine, and on his website, http://johnhaag.biz/. Lear’s own foolish actions are what unleash this madness. His decision to subject his daughters to a verbal test of fatherly love as a precondition not only for dividing up his kingdom but also for awarding each of his daughters a part of it. Whatever inner demon possesses Lear to make this decision, the result is catastrophic. The truth, which is far more terrible than Lear had ever suspected, is that Cordelia is the only one of the three who loves him purely, and therefore refuses to be subjected to the test. Lear’s response – to disinherit Cordelia and divide the kingdom between the other two – is the catalyst to his complete unraveling. The others turn on him as soon as they have what they want. The monologue I chose to work on – “Ay, every inch a king! – occurs later in the play, when Lear is spiraling into madness. Wren advised me to read the play closely, in order to begin to unpeel the layers of complexity. I started by asking myself, “What does this man want?” On the level of plot details, he wants his daughters to respond to his every wish indulgently, to give him anything he asks without question, whether it be protestations of their love, or however many knights he demands they house with him under their roofs. But this play goes much deeper than the foolish whims of an egotistical old man. Wren said, “Don’t decide with the mind, find out by following your need. Fill up with the need.” That direction helped to open the door for me. What Lear needs lies much deeper than housing retainers. The very fabric of human relations has been rent in Lear’s mind. The expectation of love and indulgence in his dotage from his daughters is replaced by scorn and disrespect and an arrogant dismissal of his wishes. His place at the pinnacle of medieval society, his expectation that his every command will be honored, his every order will to be obeyed as his “divine right,” all of it is utterly undone. Not only is Lear outraged; he is also mortally wounded by his daughter’s cold contempt. His plea to Regan, “I gave you all,” falls on deaf ears. His daughters’ refusal even to grant him an audience, lowers his status in his own eyes to that of a servant. And yet, in his own eyes, he is still, and always will be, the king.